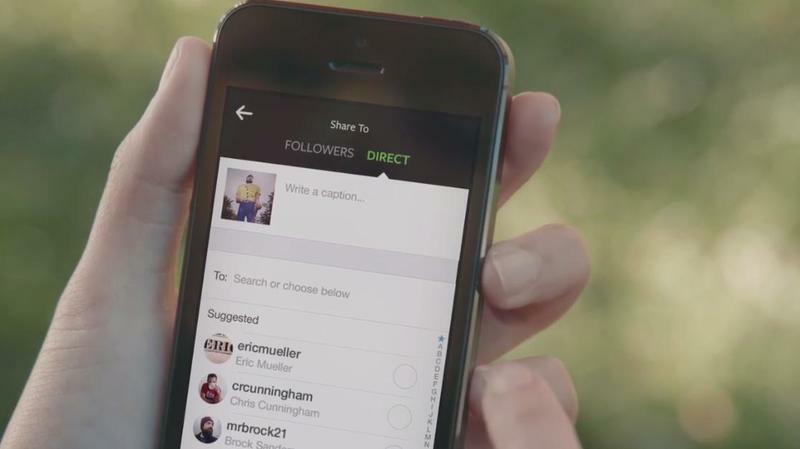 Instagram on Thursday officially announced Instagram Direct, a messaging system that lets you send photos to your friends directly through the app. "Photos alone are just art, photos when transmitted become communication," CEO Kevin Systrom said during a press conference in New York City. "Sometimes, you want to be able to share not with everyone, but just with a specific group," Systrom said. "You can't really do that on Instagram today… We stepped back and thought what would we build if we wanted to enable this use case?" To use the service, you just open up your followers panel and then choose the "Direct" tab. In it, you can send a direct message with text and photo or a video to one or multiple contacts (up to 15 people at once). You can't send just text. When you send a photo, you'll see that person's photo is blurred out a bit. When it's viewed, the photo will light up and there will be a checkmark next to it. It's kind of like read receipts in iMessage. Likewise, if they "like" the photo, the check mark changes to a heart. You'll be able to view all of your conversations in your inbox at all times. If you receive a photo from someone else, you'll see a badge with an alert that you have a photo in your inbox. Tap in, and you'll see the photo. As people view the photo, you can see who has viewed it, who hasn't, who has liked it and more. Instagram said it looked around to figure out the best way to implement the service. Sort of like Twitter, the only people that can send you photos and videos are the people you follow. If someone tries to send you one and you don't follow them, the image will go into pending requests so you can choose to accept it or not. Instagram said it started the year at 80 million users but now the service has 150 million people using the service globally. More than half of them use the service daily, too, Systrom said. The app update will be available in the Google Play Store and the iTunes App Store today.